In his book, A Failure of Nerve, Edwin Freidman describes American society as a “seatbelt society more oriented toward safety than adventure.” He goes on to discuss the emotional gridlock that existed in pre-renaissance Europe just before the major scientific and geographic discoveries that would go on to change Europe for the next couple hundred years. He describes how the “equator”, the anxiety-provoking-end-of-the-world thought that plagued many explorers, was what inhibited many an adventurer to press beyond what was known and make that discovery of a lifetime. Sunset in Thailand is never dull. Just another perk. When the thought occurred to us to move to Thailand, it seemed imperative that I make a trip there by myself. This was not only to be a physical journey, but a spiritual one as well. I needed to experience this “new world”, to cross my equator of not meeting others’ expectations of my life. And the trip paid off. Moments after leaving baggage claim, I discovered that my friends were not there to meet me. I didn’t have a phone number, and I obviously couldn’t just stay there or fly back home. So I got a cab and left the airport. I was in a new country with a cabby who didn’t speak English in search of a home. I had never done anything like this before, and I was loving it. At moments I was scare of never finding the place and somehow coming to an untimely demise, but mainly I just wanted to enjoy this small adventure for every second that it continued. Eventually, after a lot of wrong turns, we found the house and I found a bed. 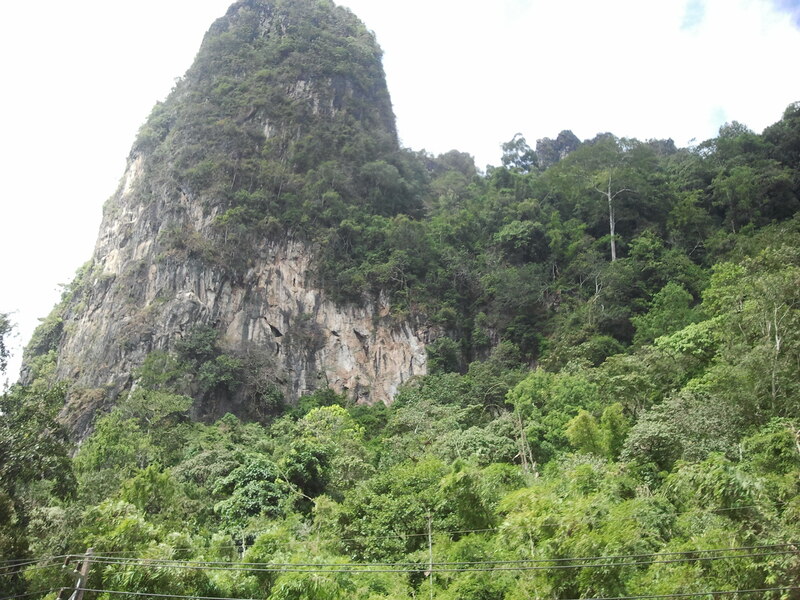 Just another mountain on the way to Mae Sot. It looks like it’s saying, “Climb me. I dare you”, but in Thai, of course. 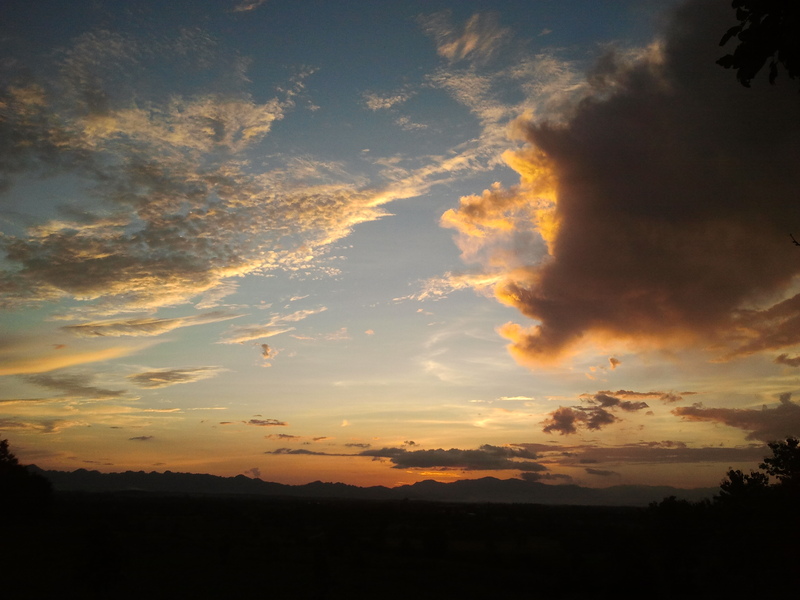 Four days later, I went with another friend to his house in Mae Sot. Along the way, we talked about parasites and other native illnesses. My stress level started to climb. Upon reaching his house I saw a gecko the size of a chihuahua. I was told to be careful around them because their bite really hurts. That night, I went to bed in fear of being mauled to death by rampaging 6 inch long geckos and then suffering from a couple rounds of parasitic diarrhea. I was overwhelmed. But life went on. I got up the next day. I saw some amazing agricultural projects, a children’s home and some other programs run by The Charis project. While I’m sure that some of the people around me may have had parasites or had possibly been bitten by geckos, no one was dying, and, contrary to popular opinion, everyone was really happy. There was adventure around every corner coupled with danger. And life moved on. My friends, the Abbotts, preparing to drive into town. No joke! 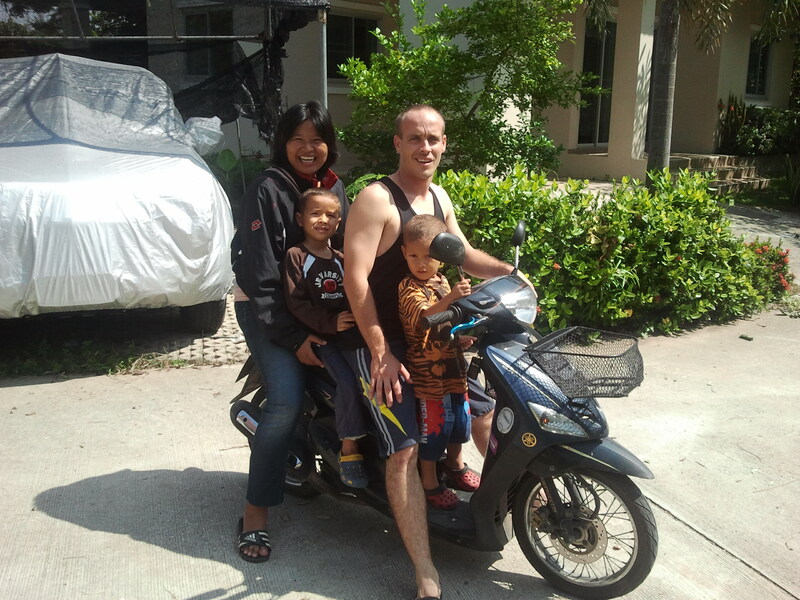 My last day in Thailand, I had an itch to ride my friends mo-ped. I asked where they thought would be a good place to go. I then set out, by myself, no phone, no license, just my passport and 400 baht, and I left. I didn’t even make it a mile and the gas ran out. The nearest gas station was a quarter mile behind me on the other side of the road, but the lane had a raised divider, which meant I had to walk the bike a quarter mile further away and then all the way back to the gas station. So I did that, got the gas and headed to the city again. My resolve to have an adventure was growing. 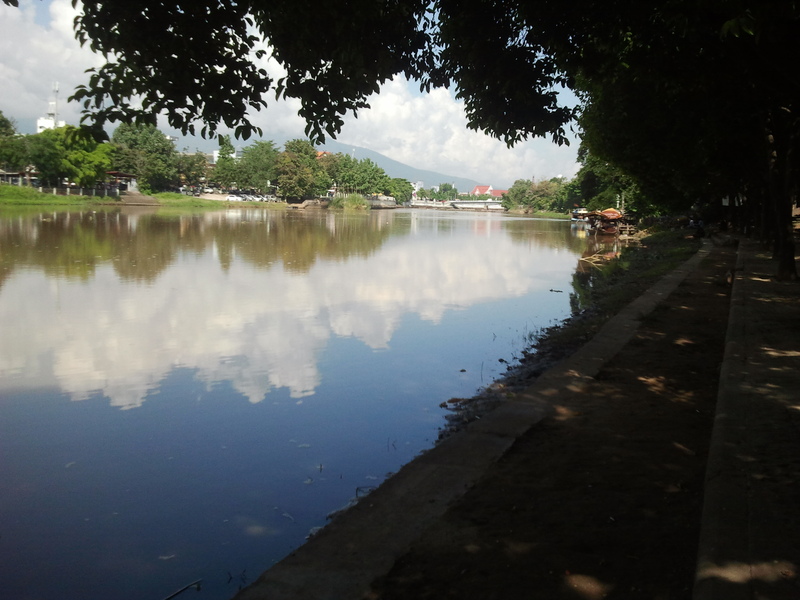 A photo from my ride into Chiang Mai, all by myself. I’m so proud of me! I made it into town. I drove around the old part of Chiang Mai and found the market that my friend had pointed me to using a rudimentary map. After searching for a while and finding nothing, I got back on the bike and headed home, but turned too soon, finding myself in a police trap. In the past, I would have froze up. But now, after all the adventure I’d had thus far, I just went with it. I showed the officer my passport. He showed me a ticket for 400 baht. I showed him my 300 baht (but not my American $20). I got on my bike and went home. I could barely believe what had just happened. Now, don’t get me wrong. I don’t encourage anyone to break any laws. I should not have been driving that bike without a license. But even in the midst of that, I found something new inside of me because I was willing to take a risk. Stepping out of my “seatbelt society”-mindset allowed me to experience life as I’d never before. So now I’m getting ready to go back for more, and this time with three kids and a wife to boot. I’m making a career change from nurse to farmer, signing on with a non-profit run by a couple of big-dreamers and leaving everything that has been “known” to me. I’m crazy. What if it all comes to not? What if we get sick? What if there’s war? What if something bad happens? I’ve heard it all. But then again….. what if something awesome happens?